The use of Kratom have without any doubt increased in the last two decades, and it is still on the rise. 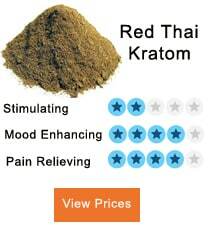 The users have to be aware that Kratom can use in various ways. One of the most important facts about the usage of Kratom is that the beginners are strictly advised not to start consuming Kratom in large dosage, but they should stay with minimal doses regardless of the kind of Kratom, how to use kratom. There is no particular guideline as to when, how and what form of Kratom on should take. Having said that you would realize that here are some of the essential things to consider when you want to consume a different form of Kratom especially for beginners. One should wonder which is the best form to start with whether it is in powder or kratom pills. 2 How is Kratom consumed when in powder form? There is a different way of consuming Kratom that is either in powder or capsules form, but one method that is not allowed is smoking the product. Despite the common term that has used with the consumer as burning Kratom. This does not mean that you go along and smoke your Kratom but just the feeling one feels when consuming the product is some of the mentioned ways below. How is Kratom consumed when in powder form? After measuring the dose in the spoon, you will tip the spoon with the Kratom in your mouth, swirl it then take water that will allow you to swallow it. The major drawback of this method of using Kratom is that you will taste the bitterness that is with Kratom or some users might even feel nausea and throw up. Use it as Kratom Tea: this is another method of consuming powder Kratom although it requires patience as it is time-consuming. Here you will measure the required dose of Kratom and boil it in boiling water; the Kratom powder will boil in the water for about 30 minutes then you will have to strain it. Kratom tea is usually very bitter when takin so it is advisable to use any of the preferred sweeteners in term of honey or sugar. Other methods, there are so many methods that Kratom can consume with different products. The one way is using the Kratom powder in your favorite yogurt drink. This can be done by just adding the powder to your yogurt and drink it. The other method is doing cooking using the Kratom powder. This is another way that can also store the Kratom very well regarding cookies to consumed later. This can be done by adding the Kratom powder as one of the ingredients you are using when making cookies. The other way of making sure that you do not feel the bitterness of Kratom is by adding it to your shakes while consuming it. The dosage and use of Kratom powder will largely depend on the individual using the product, whether it is a beginner or someone who has been using it. The beginner is always advised to use very small dosage and will give them the desired effects which are around 2 grams, but to have a sedative effect then a larger dose will have to be administered of about eight to ten grams. However, individuals who are using Kratom on a regular basis their dosage is much higher since they have already developed the tolerance of Kratom. This is what will enable them to have the much-desired kratom effects. These users who are more tolerant of the product will have to take around 20 grams or thereabouts to have some of the preferred effects. They are also advised to use different strains of Kratom. You should note that for this user they should not take Kratom more than twice a week this will go a long way not to make you more dependent on the product as you might easily become addictive like any other drug. They are so much easier to take as one does not require to bother with the daily measurement of the dose. The bitter taste of the Kratom is masked when in capsules form. You should also realize that kratom capsules need a lot of water so that it digests so much easier that is why it is not advisable to take you’re dosed of tablets when you are in an empty stomach. There are various sizes of the pill and the dosage described here are just for the standard size of capsules, which contains around 1 gram of Kratom powder. Two and Three: this is the right kratom dosage when you want to have the mild effects of Kratom that is the stimulating effects. They are usually at very small doses. 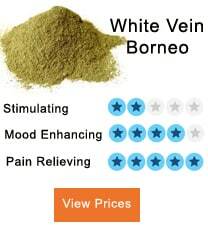 Four to seven capsules: this is the stimulant and sedative effect, so Kratom usually regarded as the medium strength. Eight to eleven: it is also the sedative effects but, kratom high if you are sensitive people this is usually regarded as the strong effects of the product. Twelve to fifteen capsules: this is not recommended for use as it is powerful generally known as the intensely active effect. There are various ways that one can take Kratom and will give them different kind of effects, but the critical thing to note for any user who is starting to use the product in whoever form, they should start with small doses as they gradually get to feel the benefits and increasing the dosage in little bits. Is Kratom A Healthy Friend or A Bitter Foe?